You are here: Home > > > Civil Defense > > > Is Emergency Management Ready for a Long-Term Blackout? Is Emergency Management Ready for a Long-Term Blackout? Is Emergency Management in the U.S. – and in your community – prepared for a long-term loss of the electric grid? Here is FEMA’s definition of Emergency Management: it is the managerial function charged with creating the framework within which communities reduce vulnerability to hazards and cope with disasters. Emergency Management protects communities by coordinating and integrating all activities necessary to build, sustain, and improve the capability to mitigate against, prepare for, respond to, and recover from threatened or actual natural disasters, acts of terrorism, or other man-made disasters. One of the strengths of modern Emergency Management is its flexibility. Most towns can handle a structure fire or an auto accident with their own resources. But when something larger happens, like a tornado, a fiery multi-car pile up with multiple casualties, the system expands and resources are brought in from neighboring towns. And in a larger scale disaster, like a hurricane or earthquake, resources can be brought in from the federal government and agencies all over the state or country. So, in theory (and in practice) Emergency Management can handle disasters small and large. But this strength is also a critical weakness: What if the disaster was of national scale and so there were no outside resources available to help your town? What if you were on your own? Two recent articles in Emergency Management publications discuss such scenarios. The first was an article in Fire Engineering by Ken Chrosniak: Electric Power Blackout: The Power of One. The second was an article by Garrison Wells published by Emergency Management Magazine: Threat of Massive Grid Shutdown Increasing in Face of Disasters. If you are an emergency manager, you really need to read these articles: You and your jurisdiction are not prepared for a long-term blackout. So let’s do a quick tabletop exercise. Scenario: A massive solar flare (coronal mass ejection) has taken down the majority of the electric grid in the United States. Many of the extra-high-voltage (EHV) transformers have been damaged and it may be months – or longer – before power is restored. All you have is whatever resources your town or jurisdiction currently has on hand (disasters are, after all, “come as you are”). If you want to spice it up, assume this is in the worst season for your area, e.g., winter in New England or summer in Texas. Because this is a national scale disaster, you can’t count on any aid from the outside for the foreseeable future – perhaps months. The cavalry is not coming. The first objective is fairly simple. You probably already have a good idea of what your town’s resources are. But, your existing resources and capabilities may be less than you think. Will all your resources show up to work if their families are in jeopardy from a national catastrophe? Also, even if most of them do, remember that all you have is what you have in town now. fuel, medical supplies, number of cops and firemen. Nothing else is available. People will be without heat/AC. People will be without refrigeration. People will be without the ability to perform basic things like cooking or boiling water. People will be without basic sanitation and, hence, at risk for diseases. People may be without transportation immediately (EMP damage) or soon (lack of fuel). Most, if not all, forms of communication will be disrupted. Critical backup generators will soon run out of fuel. Medicine and medical supplies to pharmacies will stop. All products, parts and supplies will stop. Fire, EMS, and police will be unable to respond (for lack of fuel, personnel and communications). Medical services will be severely disrupted or unavailable. The police will not have the manpower, communications, or transportation to provide security for the community. Desperate people will resort to looting, burglary, robbery, or any means necessary to get food and water. Many local governments will quickly become ineffective. Even if, miraculously, you live in a community that is prepared and has a plan to attack the above challenges, look to your nearest urban areas—refugees will soon be forced to flee the cities. Any plan for a town’s survival will have to address how to humanely handle desperate refugees while protecting the town and maintaining law and order. Town borders will have to be monitored and protected. Town assets will have to be guarded from looters/criminals. Let’s take one of the above problems as an example: Desperate people will resort to looting, burglary, robbery, or any means necessary to get food and water. So, you have a grocery store and a pharmacy in town. Those are going to quickly become targets. How many meals does the average family in your town (and neighboring towns) have in the cupboard? With the supply chain gone and no food coming in, what do you think will happen one week from now when people are out of food? This means you are X number of meals away from anarchy. Can your law enforcement resources handle this? Let’s look at another: Water service will stop. Most people get water either from “city water” service or a well. Both require electricity. 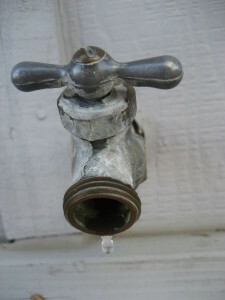 The vast majority of your town will be without their primary water supply. People are going to be at risk for waterborne diseases – if they are lucky enough to even have questionable water to drink. As you go through and think about the implications of each of the above (and perhaps a few more that you may think of – the above list is not comprehensive) one thing becomes clear. Emergency Management’s dependence on outside resources when the size of the disaster overwhelms the local capabilities has failed us here. We need to be able to depend on ourselves in this worst-case national catastrophe scenario. It is also clear that for any town or jurisdiction to adequately prepare, mitigate, respond and recover from a long term electric grid outage, we need to do a lot of work beforehand. This brings us to the third objective: what could be done prior to an event to prepare and mitigate? The answer is not “that could never happen” (because it could) or, “if that happened, there is just no way to be prepared for it” (because that is just patently false). Several members of Congress have been concerned about this vulnerability of the electric grid for years and there are reams of Congressional testimony and federal reports that conclude that this can happen. 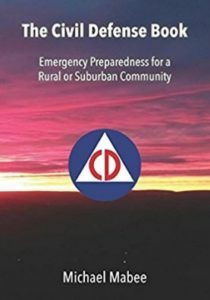 Moreover, several members of congress advocated in 2012 that communities start a civil defense program and be prepared to fend for themselves in the absence of federal assistance for a prolonged period of time. It would be great if the federal government took concrete steps to protect the electric grid. Legislative attempts to do so have failed for years to make it out of committee. The companies that own and operate the electric grid are against such legislation – and they have a lot of money to lobby against it. So, in absence of the federal government taking steps to protect the grid, local Emergency Management must take steps to protect their towns – to prepare, mitigate, respond and recover from a national-scale long-term blackout. This scenario needs to be one of the hazards considered in our “all hazard” comprehensive approach. Every town and jurisdiction should do a tabletop drill with a long-term national blackout scenario (months). Nobody has a budget for this – you will need community involvement. Starting a Community Emergency Response Team (CERT) or involving your CERT Team if you have one, is a great way to start getting the community involved. (c) To educate and provide planning and resource options to the town for preparation and response to a “worst-case,” long-term catastrophe affecting the town. Some members of Congress attempted to pass a resolution advocating that communities and their citizens do this. While House Resolution 762 (112th Congress) may have died in committee along with other legislation to protect the electric grid, a good idea does not need to pass congress to be a good idea. Is Emergency Management Ready for a Long-Term Blackout? You will have to answer this question for your own town or jurisdiction. After all, it will be local Emergency Management that owns this problem. It will be too late for you to figure it out once the lights go off.